Don't forget to order Mirsina's famous rice pudding for your holiday party! *Prices are shown for 1 egg / 2 eggs. Served with home fries and choice of toast. Substitute fruit $1.25 extra. Assorted Bagels and Muffins available daily. Ham, Turkey, Tuna, Hamburger, B.L.T. Spinach and feta cheese in phyllo dough. Stuffed with ground meat and rice. Pasta, ground beef, and béchamel sauce. If there’s one thing Mirsina knows—it’s food. With a large Greek family, she has been immersed in the restaurant business since before she could walk. Passion and love for cooking has been passed down from generation to generation. And thus, Mirsina’s Restaurant was born. 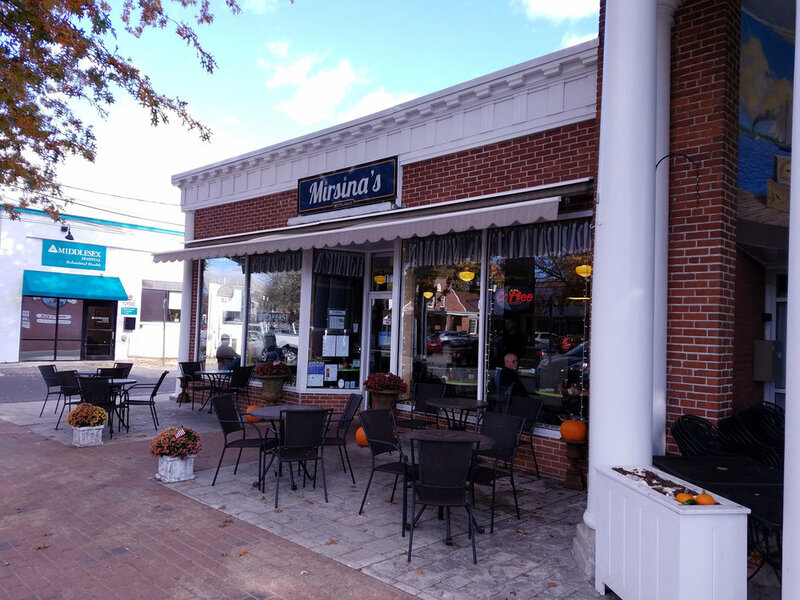 Mirsina’s Restaurant opened on Main Street in downtown Old Saybrook in February of 2015. Serving both breakfast and lunch daily, you’ll find traditional American and Greek cuisine. And delectable desserts too! One bite of Mirsina’s famous rice pudding and you’ll be hooked! Combining healthy options, comfort food, and everything in between—Mirsina’s uses fresh ingredients and spices. If you can think of it, chances are Mirsina’s can make it! Just ask. Grab a quick bite to eat, or chat with old friends over a cup-o-joe (free refills!) and see what has made Mirsina’s a town favorite! And for those that can’t get enough—catering is now available! Let Mirsina’s Restaurant help with that next special event of yours!